The holiday season is coming up quickly and you know what that means…lots of holiday baking! I love everything about the holiday season – the time with family, the shopping, the excitement leading up to the big day and all of that delicious baking! 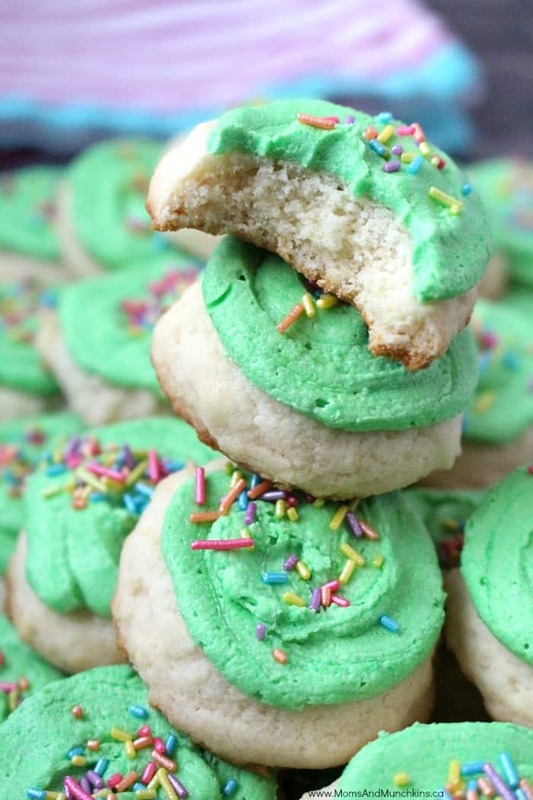 These Cream Cheese Cookies with Buttercream Icing are so good! 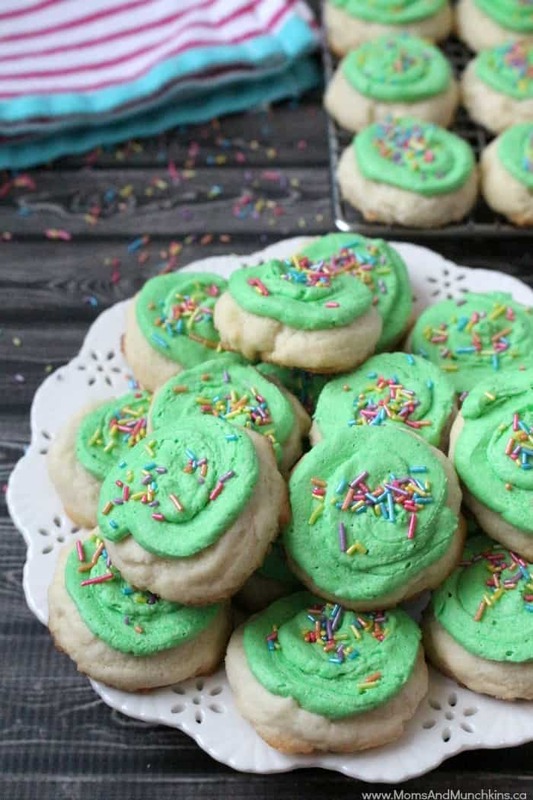 They are soft cookies with just the right amount of sweetness. The buttercream icing makes them taste like a cupcake! 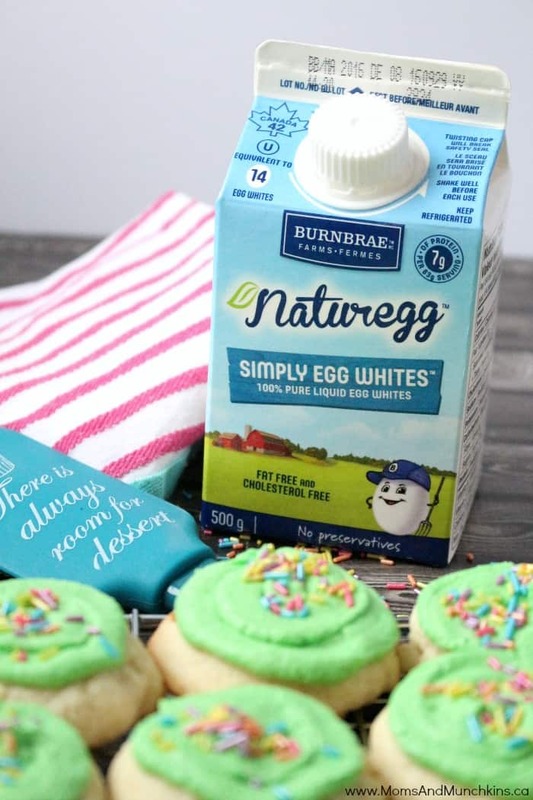 Instead of using a full egg in this recipe, I used Burnbrae Farms Naturegg Simply Egg Whites. This product is just 100% egg whites without you having to separate a full egg yourself and waste the yolk. Did you know that egg whites have no fat or cholesterol but they are packed high quality protein and are a source of 3 vitamins and minerals? 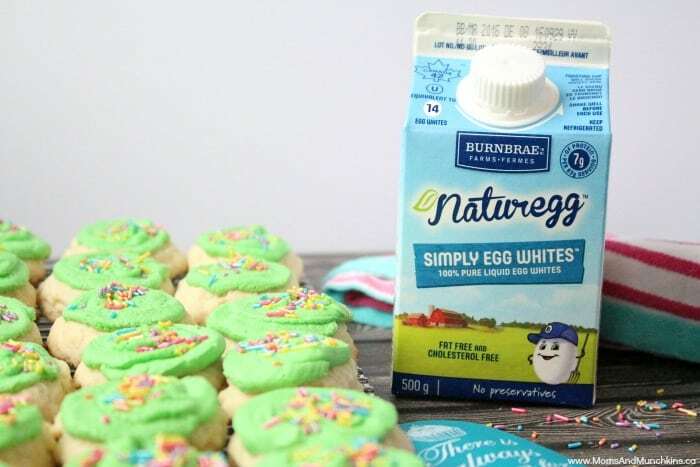 This is a healthy choice for your holiday baking or all those brunch recipes you’ll be making for your holiday houseguests. In a large bowl, beat butter and cream cheese together until well mixed. Add sugar, egg whites and vanilla extract and beat until well mixed. Gradually beat flour mixture into the wet mixture. Mix just until combined. Form dough into one-inch balls and place on an ungreased cookie sheet at least 1.5 inches apart from each other. Using the bottom of a glass (dipped in water so the batter doesn’t stick to it), slightly flatten the top of each cookie ball. Bake for 9-12 minutes just until the top is slightly set and the bottom is a light golden brown. Frosting: In a medium bowl, beat shortening and butter together until well mixed. Add vanilla and beat until well mixed. Gradually add confectioner’s sugar and beat until well mixed. Add heavy cream and beat for approximately 5 minutes. You could add food colouring to this icing if desired. Pipe the icing over cooled cookies and top with sprinkles if desired. Store cookies in the refrigerator. 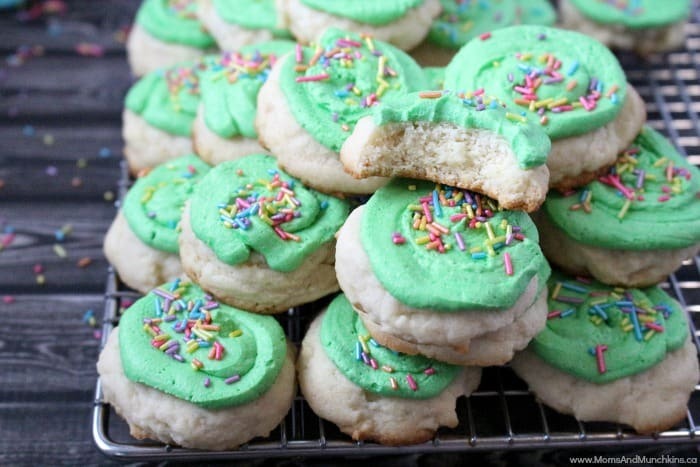 These cookies also freeze well if you want to bake some in advance for the holiday season. Save the date! 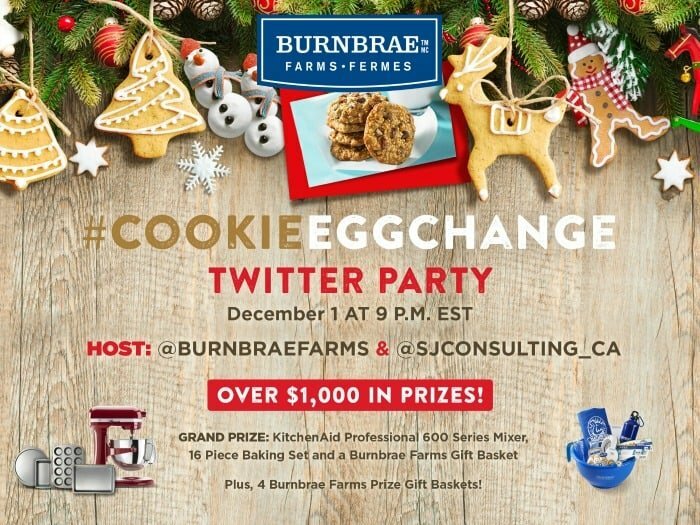 Grab your calendar and mark down the #CookieEggChange Twitter Party on December 1, 2016 at 9pm ET. There are over $1000 in prizes and we’ll be sharing a lot of delicious cookie recipes perfect for all those holiday parties. RSVP below to be eligible for prizes at the party! For more delicious recipe ideas, visit Burnbrae Farms on Facebook, Twitter and Pinterest. *Disclosure: I am participating in the Burnbrae Farms campaign managed by SJ Consulting. I received compensation in exchange for my participation in this campaign. The opinions on this blog are my own. These are just so HAPPY. They really are like little birthday cake cookies!